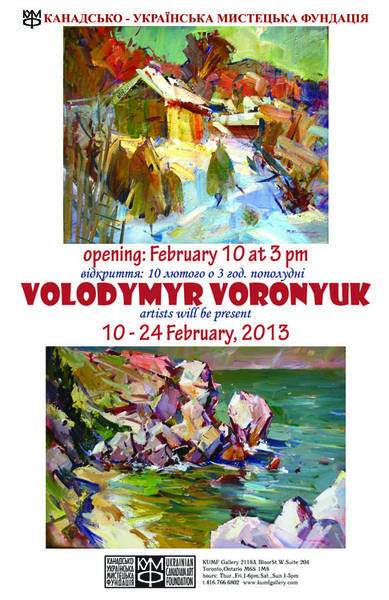 Volodymyr Voronyuk is one of the most accomplished artists from the Bukovyna, Ukraine. A graduate of the Vyzhnyckij College of Applied Art and the Odessa State Pedagogical Institute. A winner of several international art competitions, including first prize for his art work at the Lelingen-2000 Art Festival in Luxembourg. Volodymyr Voronyuk is a member of the National Society of Artist in Ukraine.